Experience Denver’s #1 Outdoor Paintball and Airsoft Fields! 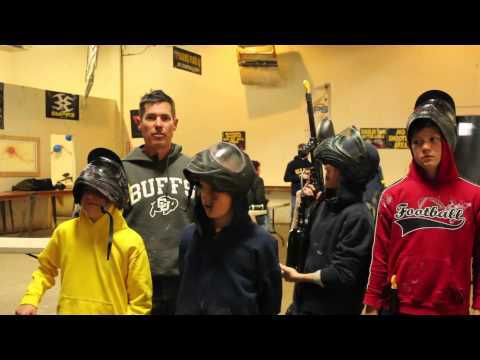 Experience Denver’s #1 Outdoor Paintball Fields and Airsoft Fields! Choose your style of play and jump right into the action! Our outdoor fields are the perfect place for everyone to come together for an incredible experience playing either paintball or airsoft. Located in Brighton, Colorado, we have everything needed to make your birthday party, corporate event, or bachelor/bachelorette party one to remember forever. So ask yourself, are you ready? The only place to get this much fun is outdoors at American Paintball Coliseum! outdoor paintball & Airsoft mayhem! Outdoor Paintball Field: Ready, Set, Splat! Enjoy the thrill of each paintball game you play across our 65 acres of fields scattered with obstacles and barricades. Duck and cover behind planes, boats, cars, buildings, and more on our themed fields. Our helpful staff keeps games fresh and exciting by giving you a range of options such as team versus team elimination, capture the flag, or even your own custom match. After the game, reload in our staging area and share food while relaxing with a nice cold beverage from our snack bar. Outdoor Airsoft Field: Pull the trigger on fun! Want to be part of your own real life tactical adventure? If so, then airsoft is the activity for you! Airsoft uses small plastic BB’s to play shooting games similar to those you would play in paintball but without the mess. Socialize and watch other games on our shaded tables in the staging area to relax between battles. Load up and head out with your squad to play on the most exciting airsoft fields in Colorado! Our outdoor paintball and airsoft fields are open year round weather permitting. We recommend contacting us for opening hours and making a reservation for your group. 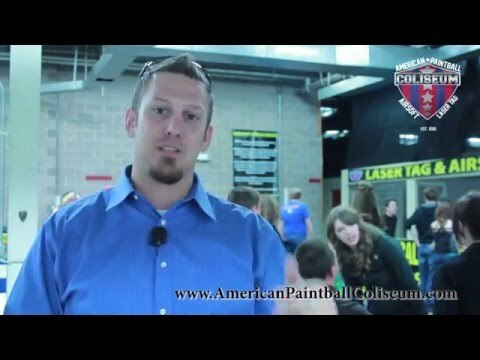 The outdoor field is located a small distance from our indoor fields conveniently located in Brighton, CO. We do require non-toxic biodegradable paintballs for the outdoor field are available for purchase at the field. Each year APC hosts a hyperball paintball tournament with over $2000 in prizes and a two day airsoft event known as Battle of Chernobyl. Book Outdoor Paintball and Airsoft Now! ARE INDOOR OR OUTDOOR FIELDS BETTER? This is a very common question and to be honest, the answer is whichever you prefer! Compared to the indoor fields, the outdoor fields are larger and there are more of them. This makes for longer games and more variety throughout the paintball or airsoft experience. Outdoors is a nice time to relax, enjoy nature, and do an activity with family and friends that is full of memory making action! WHERE IS THE OUTDOOR FIELD? Take I-76 and exit on 136th avenue. Head west towards Buckley Road then turn South onto Buckley Road. After the overpass on I-76 turn right onto Cameron Drive. Continue down Cameron drive (dirt road) until you arrive at the entrance. If you are lost, please call us at (303) 298-8573 and we will help you as best we can. IS THERE FOOD AT YOUR OUTDOOR FIELDS? You are more than welcome to bring your own food and drink if you would like. Our outdoor field does carry a variety of small snacks and drinks to help quench your thirst while you are with us. Want to cook up some hotdogs and hamburgers for everyone? No problem. Ask us about how to rent a propane gas grill for use at your event when making your reservation. Unfortunately, we cannot allow alcohol on the premises. If your group would like to look into a private party during the week outdoors, please contact us. WHAT IF IT RAINS OR THERE IS BAD WEATHER? For information on whether our outdoor fields will be closed for any particular week, please call us anytime at (303) 298-8573 and our friendly and helpful staff will be happy to help you. We do ask that reservations are placed at least 24 hours in advance if you are looking to play on our outdoor paintball and airsoft fields. This allows us to make sure we are prepared for your group when coming out to play with rental equipment. When making a reservation, we will also ask for a $5 deposit per player that can either be deducted or refunded from the total sale at the time of the event. DO YOU ALLOW PRIVATE PARTIES? Yes, hosting a private event at APC outdoor is easy to do and full of action and excitement! With 65 acres and 7 different fields you will have your choice of game play. There is a $500 minimum spend for private parties at our outdoor fields. WHAT SHOULD I WEAR TO PLAY? 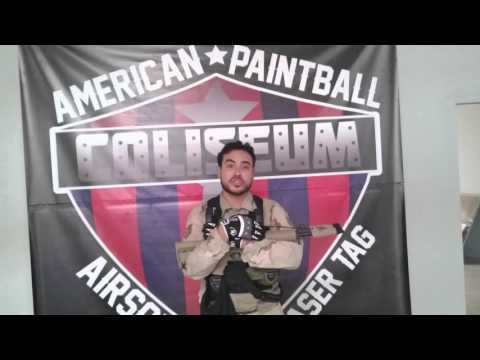 It is recommended that players wear long sleeves as well as a light pair of gloves to reduce the sting of getting hit by paintballs and BB’s. Players bringing their own equipment must adhere to all safety rules and regulations including proper eye protection and barrel bags ($6 & can be purchased on site) allowed and accepted by the manager on duty. Questions about our outdoor fields? We have answers!